Want to know what apps are using your location on iPhone or iPad? This can be useful information for many reasons, including potentially saving some battery life on your iOS Device. You may already know this, but you can tell if Location Services are being used on an iPhone or iPad because a little purple arrow icon appears in the corner of the status bar in iOS, at the top of the screen. If you’ve never paid attention to this before, it matters because when Location Services are being used it can drain your battery much faster than usual, this is because the app determining your location is constantly using network activity and GPS to pinpoint your coordinates and, usually, report it back to the apps servers. 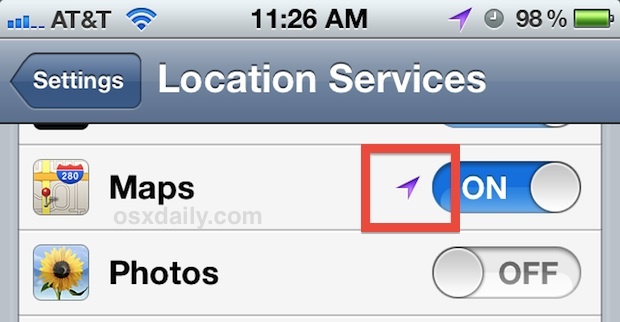 If you see that purple location services arrow pop up and you have no idea what app is using your location, then this trick is for you because it will allow you to quickly see what app(s) are actively using your location on the iPhone or iPad. With that information, you can then take action to disable the app from using location, if desired anyway, and this can potentially lead to an improvement in battery life. If it’s on constantly, turning off an apps location use can result in significant battery savings, but it can also lead to inaccurate app information and some apps will stop working completely. For example, the Maps application will not be able to route directions from your current location. 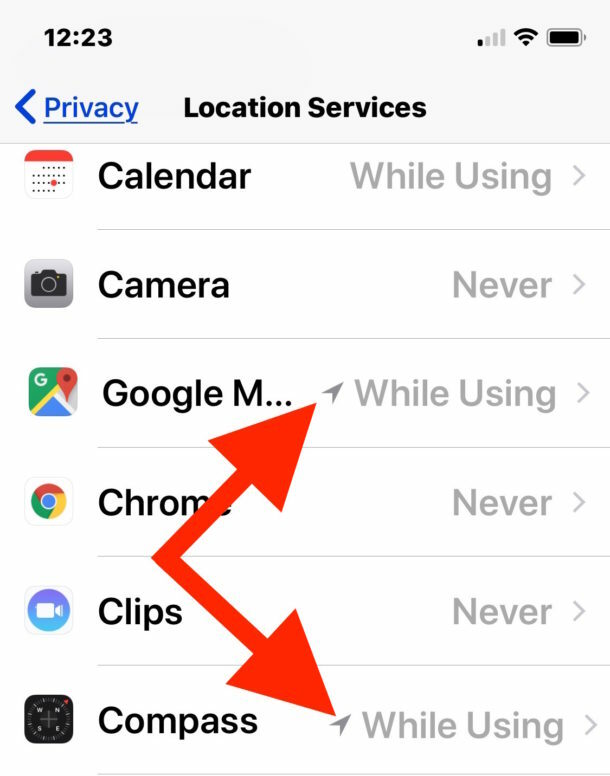 You can also turn off all Location Services on an iOS device, but because important apps like Find My iPhone / iPad use location, it’s generally a good idea to leave on. I turned this off a whole ago to prevent battery drainage. Works fine without it. Good tip, seems my time zone config was constantly accessing.